I've always been an advocate of bicycles, claiming they are more efficient and better suited for traveling than going on foot. That sentiment doesn't fit in a few places, such as backcountry wilderness exploration. While it would be fantastic to be able to ride a fatbike through the washes and old rivers of the Petrified Forest, it's currently illegal due to some antiquated laws. So until these laws are updated to a modern format, I've begun adapting my gear for backpacking when I go visit places where bikes cannot go. Swapping out the bike and bike bags. Adding a backpack. Obviously, the first thing one needs to do is come up with a way to carry their gear when not on a bike. 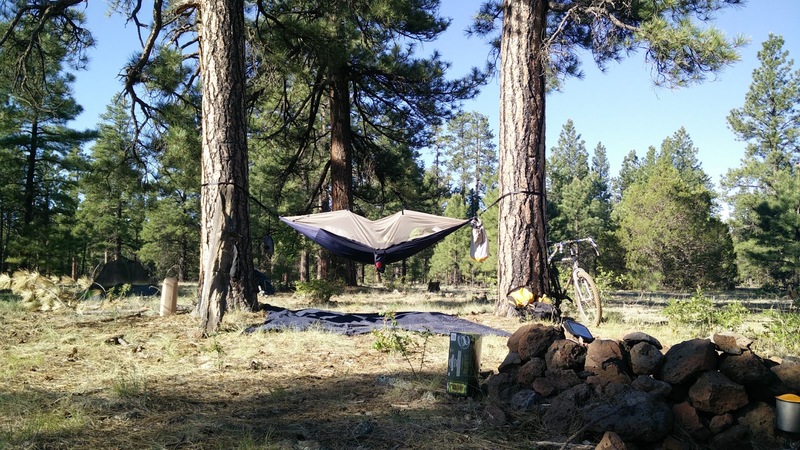 For me, this was a strange transition as I was never really into backpacking the way I was into bikepacking. 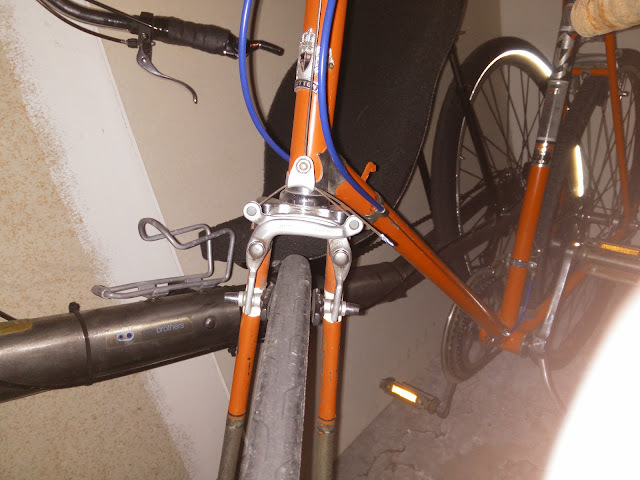 Losing all the specialty bags and weight balancing compartments(water in the framebag, sleep kit in the handlebar roll, etc.) and moving it all to one container was a culture shock for me. I suppose the normal transition for most people is in the opposite direction. Frame bags are used to compartmentalize gear, and take the weight off the rider's back. 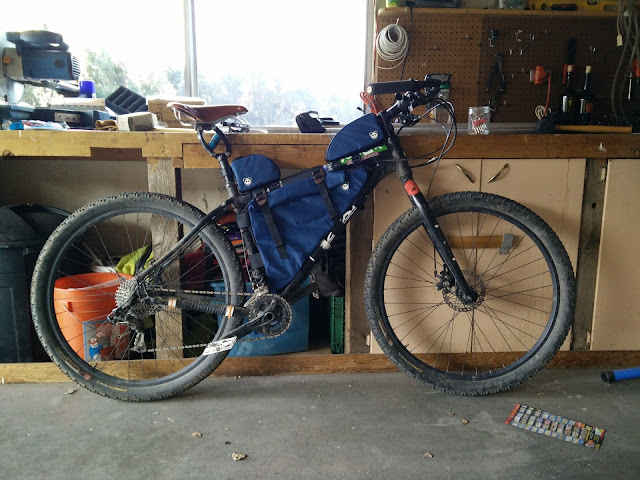 Since bikepacking is similar to the masochistic practices of ultralight backpacking, most of my gear has already been geared towards that practice, sans backpack. I traded one of my mountain bikes for an Arc'teryx Altra 65 a few years ago, but found that carrying that much weight on my back on my first trip was punishing. While the pack is nice and very adjustable, it doesn't feed my appreciation for trimming the fat on a camping trip - the large volume of the bag allowed me to carry things I never ended up using, although I was convinced I needed it. The 50 liters of volume on my new pack was a bit on the hopeful side. While it can probably hold 50 liters of loose and well-packed gear, I found it's capacity closer 35 on my initial packing. That may have been due to me cramming gear into a heavy duty dry bag designed for river guides instead of a backpacking lightweight stuff sack. Transitioning over to a lighter material stuff sack allowed me to better organize my gear in the bag but still keep my essentials dry from any moisture from the hydration bladder or rain. Different sleep pads have different footprints, insulation, and packability. Selecting the right one may take a few tries. One of the lightest and smallest packing pads I've encountered. The modular inflation valve is super handy and can be packed inside of the Jetstream pump sack. The warmest and most comfortable pad I've slept on. Super warm and lightweight. Packs down smaller than a Nalgene. When rolled up tight, the Q-Core SL is about the size of a nalgene bottle. 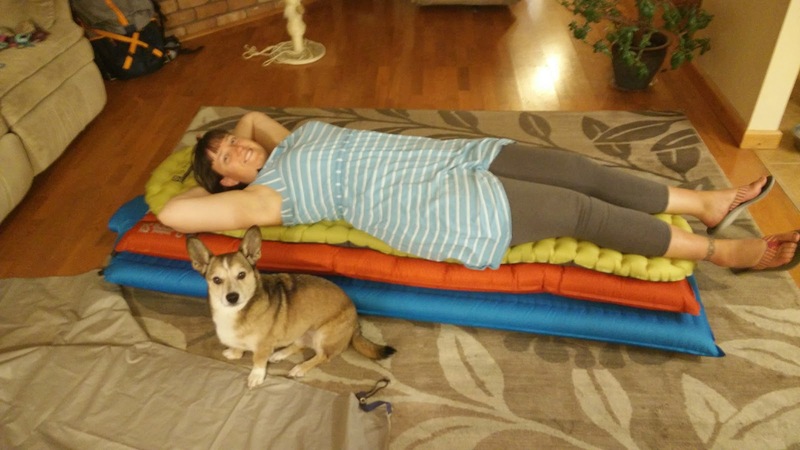 My experience with inflatable sleep pads hasn't changed my love for foam or self-inflating pads, but I recognize they can't work in all situations when you are reducing the amount of stuff you can carry. 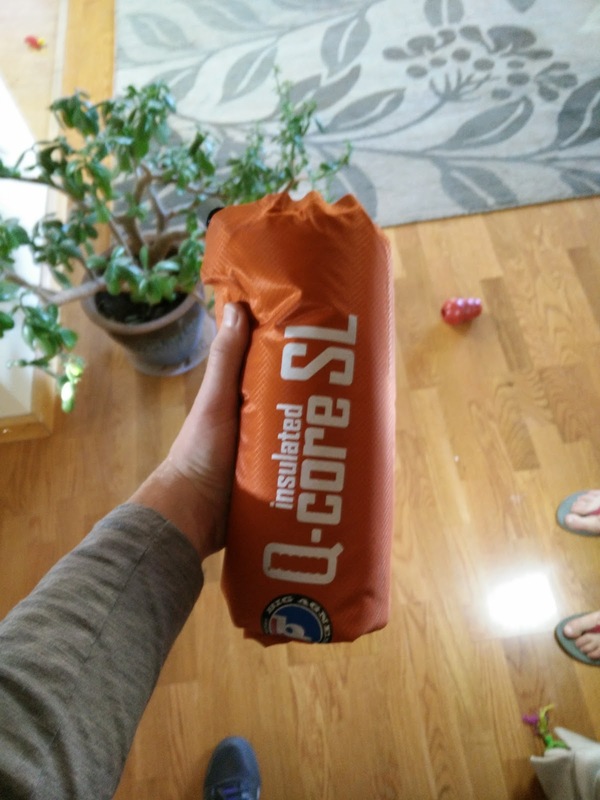 I haven't changed out my sleeping bag since I got the Sierra Designs Backcountry Bed in 2015. With no down filling on the bottom of the bag, Simply swapping out the pad allows me to convert my bag from a 35-degree bag to a 50-degree bag. After discovering the Sea To Summit eVent compression bag, I can squeeze it down to the size of a grapefruit to save space in my pack. Not much has changed for my kitchen; I still roll with the Snow Peak Hybrid Ultralight set. I'm able to cram my titanium mug and Gigapower stove inside and keep a butane canister, heat shield, and spork in the mesh bag it came in. I have an alternate set when I don't want to carry butane and a larger cooking vessel. 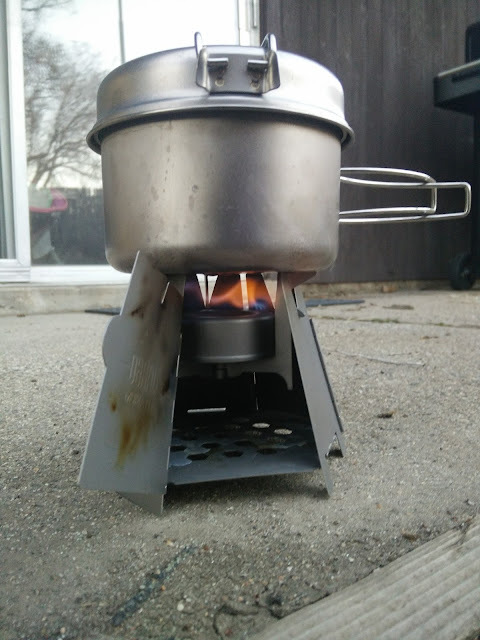 My Vargo Hexagon wood stove can also be used as a windscreen for their Converter Stove. Snow Peak Multi Compact Cookset sitting atop the Vargo Hexagon Wood Stove with the Vargo Converter Stove inside. Carrying water and food has a dramatic change. I'm no longer carrying snacks on my handlebars for easy access or putting water in the framebag where it will affect my center of gravity the least. Without a dedicated chamber and the ability to carry nearly 10 liters of water, I have to pack smartly so I don't throw off my balance or fatigue my legs which are not used to carrying all of the weight. After asking friends and other backpacking nuts, I've found that putting water as close to the center of my back, just above the hips is the best place. My balance shouldn't be affected as much as if it were at the top, bottom, or further away from my body. Snacks can be carried in waistbelt pockets, but it's not quite the same as having voluminous feedbags stuff with my favorite treats hanging off my handlebars. The only major change around carrying extra clothes is that they get packed in with the rest of your gear. It's a good idea to put them in a dry sack to separate them from other items that may leak. I was used to packing my sleep kit and clothes into dry bags on bikepacking trips as we would occasionally encounter rain, puddles, wipeouts from riding too fast on slippery terrain, and being left outside on my bike when seeking shelter. I normally sleep in a bivy when I run solo. Less space occupied and I can be as comfortable as I need to be without pestering my spouse. Carrying a tent while bikepacking usually had me strapping the poles to my handlebars of the bike frame and then stuffing the tent into the seatpost bag. I'm still figuring out how to haul a tent efficiently. Hammock Camping is starting to grow on me. It's really nice in warm weather, but colder weather requires extra gear to keep warm. Sometimes it's just better to stick with a tent/bivy in the winter. A hammock with a built in bug screen can be a lifesaver in warm, buggy areas. Rain gear seems to be much easier to carry while backpacking. Packing a dry rain jacket into the "brain" of my bag seems like a good spot, along with other quick-access items. After a rain shower, I can just slip it under one of the compression straps to let it dry out. This seemed to be a little dicey on a bikepacking trip as a few bumps could dislodge loosely hanging gear and deposit it on the trail without me noticing. That's my transition from bikepacking to backpacking so far. I'm sure I'll fine-tune my setup with each outing. For now things seem to be working out.